1. Connect device and matrix sensor. 2. Connect device and your PC with USB cable. 3. Open device manager and check if device is correctly recognized. 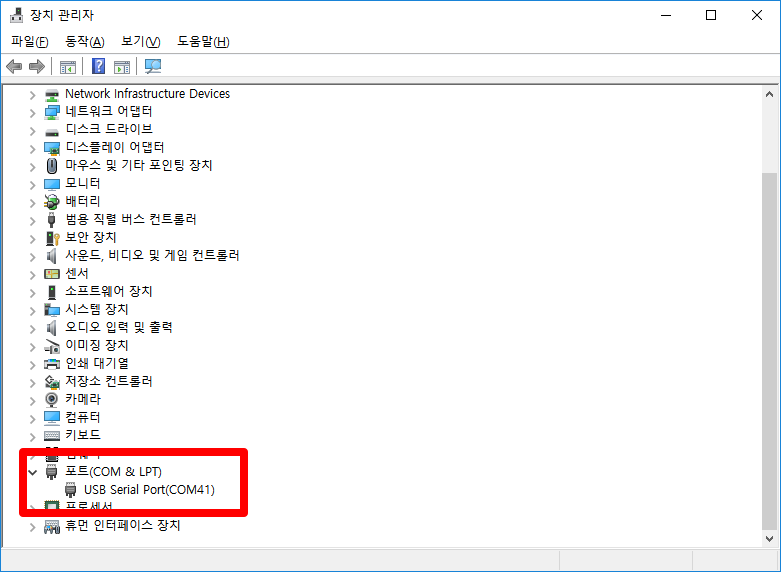 You should see 'USB Serial Port(COMxx)' or something similar in device manager. 4. Download and unzip Snowforce file * DO NOT UNZIP SNOWFOR IN A SYSTEM FOLDER SUCH AS "PROGRAM FILES"
6. Click CHOOSE PORT and select port you saw in device manager. 8. In file dialog, go to data folder, find appropriate ini file, and click Open. 10. Now you can see force image. Binary can be found at this page. You can start and stop device by clicking this buttong. Toggle logging measurement data. Data is saved in data folder as a CSV file format. CSV file format can be read by a text editor or a spreadsheet application such as MS Excel. YYYYMMDDThhmmss-1d.csv: 2-dimensional measurement data is represented as a single row in this file, which is useful for batch analysis of whole data set. YYYYMMDDThhmmss-2d.csv: 2-dimensional measurement data is represented as a 2-dimensional matrix in this file, which is useful to analyze a single frame. 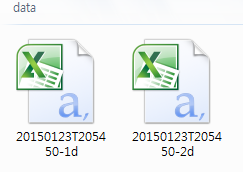 For example, in data folder you will see these kind of files. 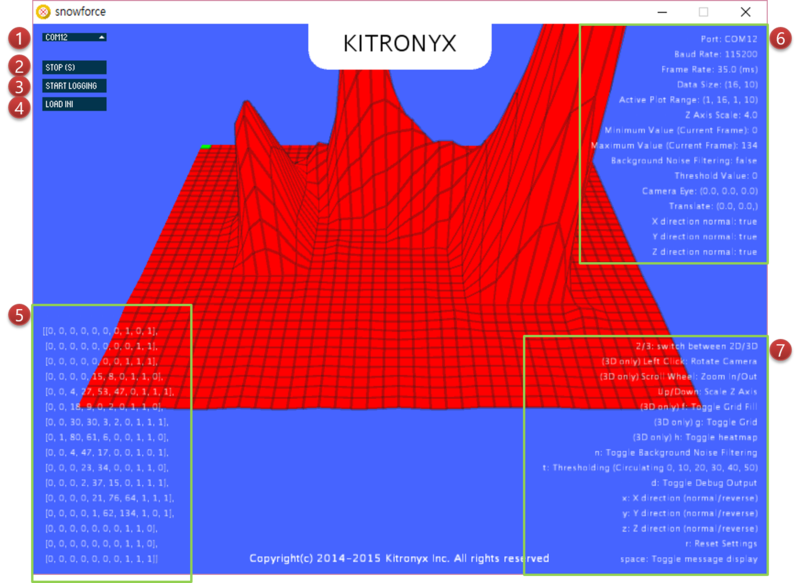 RiCj indicates the crossing point of ith row and jth column of the matrix sensor. 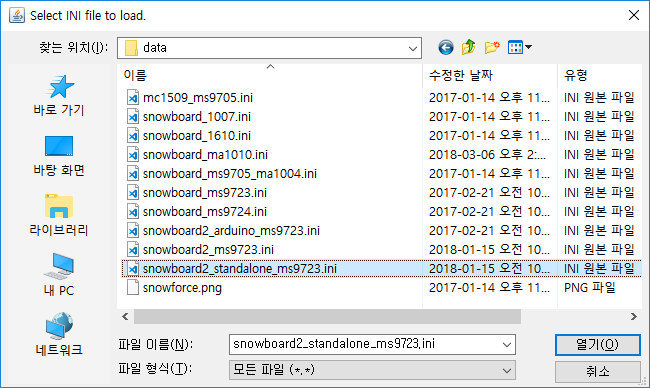 Snowforce comes with several predefined INI files for different sensors. 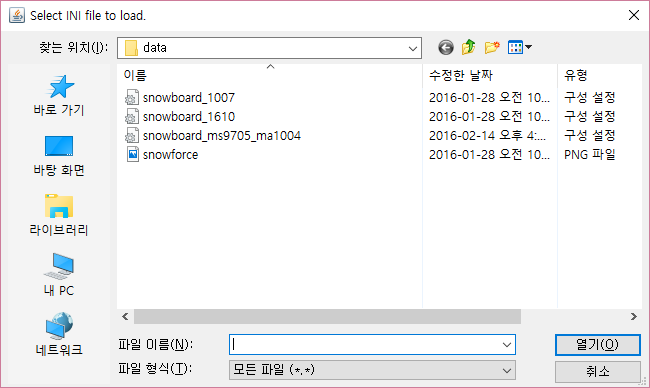 Data from Snowboard is displayed in real-time and can be on/off by pressing 'm'. General information shown in this area. 't': Apply threshold values. Values are circulated across 0, 10, 20, 30, 40, 50 whenever 't' is pressed. These controls can be accessed by keyboard shortcut or mouse. 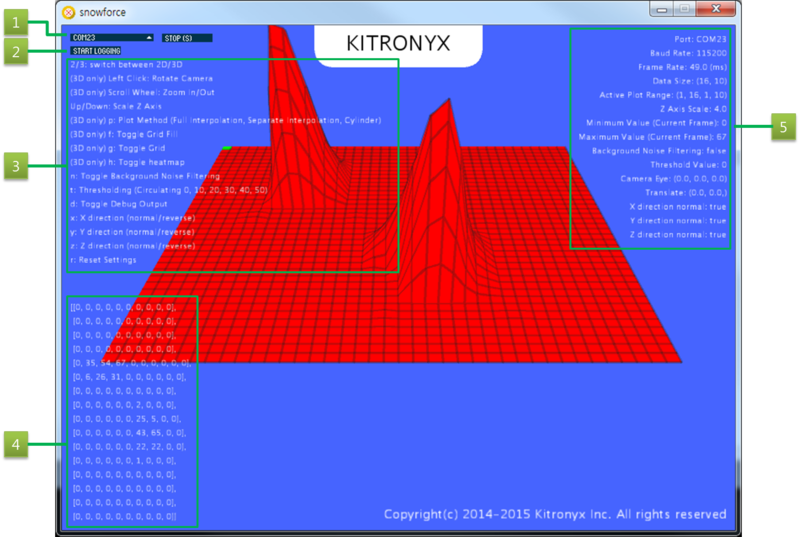 2-dimensional sensor data is shown here in real-time. Useful system information is summarized in this section.